China has warned Donald Trump that he is inexperienced and knows nothing about what he’s talking about when it comes to China and the United States’ influence on the world stage. 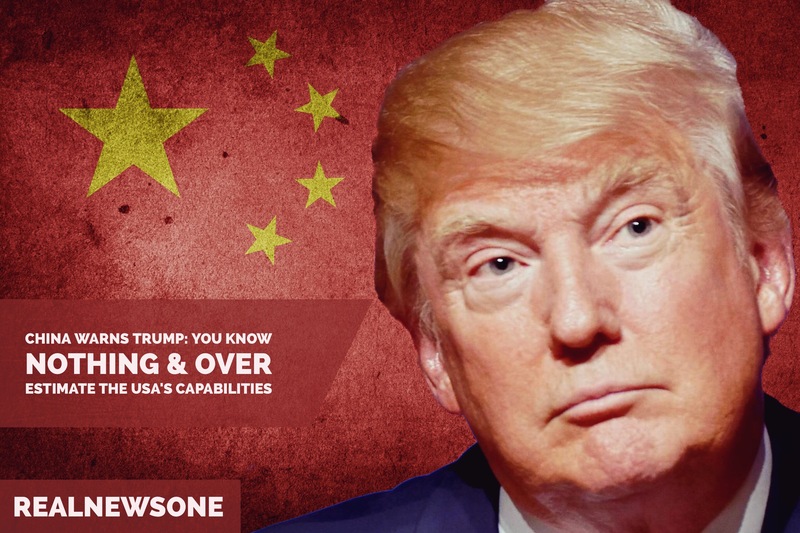 In an editorial in the Global Times the Chinese have warned that he is over estimating the United States’ capability of dominating in the world. The editorial goes on to warn president-elect Donald Trump that pride comes before a fall. And has accused Trump of trying to blackmail China even before entering the White House. Through the editorial the Chinese have warned Trump they have a wide range of tools to fight against Trump’s economic and trade threats. The editorial also states that if the inexperienced President-elect wants to play tough, China will play tough as well. Taiwanese independence and any interference from Trump, regarding Taiwan, was also mentioned in the editorial with the Chinese threatening the use of military force to realise “reunification” between the island of Taiwan and the People’s Republic of China. The Chinese have also said that they need more imagination in their foreign policy because Trump is always unpredictable. They also warned the President-elect Donald Trump they will not except an unfair and humiliating deal from him.